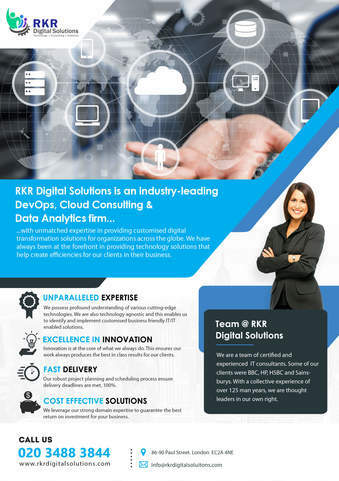 RKR Digital Solutions is an industry-leading DevOps & Cloud Consulting firm with unmatched expertise in providing customised digital transformation solutions across the globe. We offer DevOps Services, Cloud solutions, Data Analytics, Platform Engineering Services, Web Development, App Development, Product Development, QA & Testing, IT Support & Maintenance and other bespoke IT services. 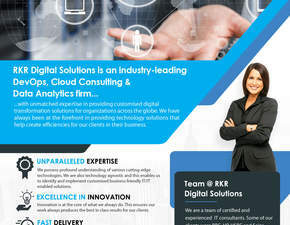 RKR Digital Solutions is the trading name of the RKR IT Solutions Limited. Registered in England & Wales - Registered No: 09102412. VAT No: 189385644.